November is Diabetes Awareness How important is a Hemoglobin A1C? 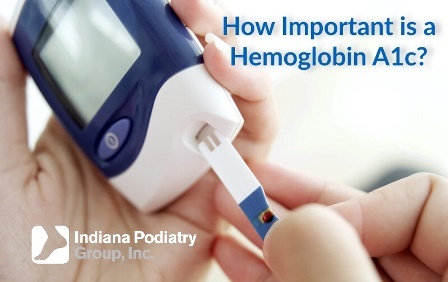 How important is a Hemoglobin A1C? Often times we will ask patients what their A1C value is, and this is an important number. Unlike checking your glucose daily or a one time "spot" check with a glucose test, an A1C tells us where a patient's blood sugar level has been over a period of about 3 months. 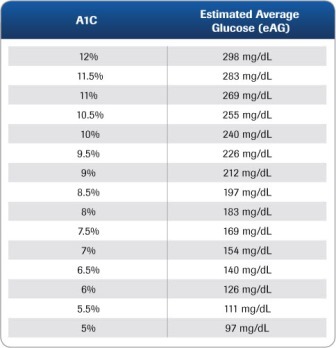 Review this chart below to see how specific A1C values match up with estimated average glucose levels.